Getting beyond the FUD and Apple Store line-watching, we really don’t know how well the iPhone 8 is doing yet, and more importantly, how it looks in comparison to what Apple actually expects from it. However, it’s worth thinking about what their intentions are for the device. So what DO we know so far? While we can’t know if the iPhone 8 will be more successful than the 5C was yet, I think Apple definitely took a different approach here than they did with their first dalliance with a new, but secondary iPhone. The plastic-backed 5C had a design that was completely unique, but was also saddled with the previous year’s specs. Also, Apple decided to sell the higher-end iPhone 5S for the same price as previous premium models, which further outlined the 5C’s status as a “cheap” iPhone. Unfortunately, it wasn’t cheap enough to sway value shoppers and wasn’t seen as good enough to keep most other buyers from choosing the 5S. It just didn’t end up with a very large target audience, in the end. The iPhone 5C wasn’t an absolute disaster, by any means. However, it also wasn’t nearly as successful as Apple expected it to be, hence its retirement after just two years on the market. However, the iPhone SE proves very well that Apple learned some valuable lessons from the experience. 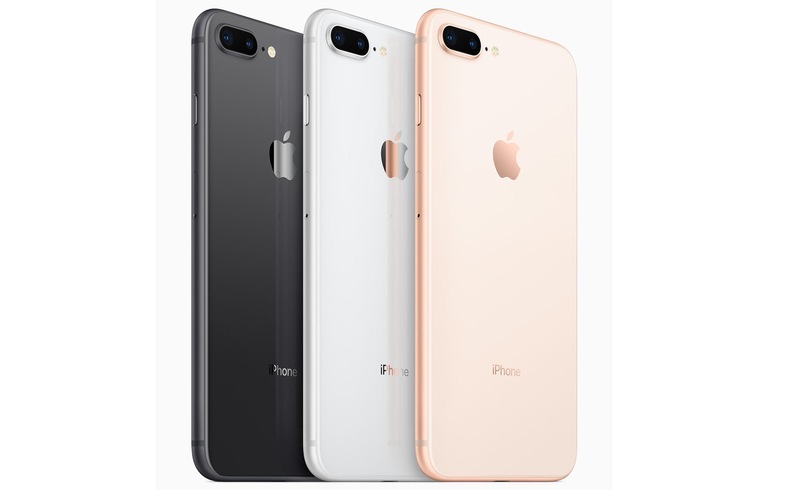 In this case, they released a device with equivalent specs to the current generation of hardware at the time (the iPhone 6S) and stayed with a tried and true design that buyers still recognized as premium. Also, the fact that Apple had changed form factors starting with the 6 and 6 Plus meant that the SE was differentiated further by not only external look and feel, but also by size. The iPhone 8 and 8 Plus are just extensions of this same pattern. Apple is sticking with a trusted design that is now differentiated with the coming of the premium iPhone X. The 8 also has specs that are close enough to the X to sway users who want the latest processor without the higher price. This should help to spur sales if Apple can’t meet the demand for the X a few months out from launch, at least for those users who don’t have to have the latest and greatest. I don’t think that the iPhone 8 and 8 Plus will be necessarily be judged completely independently, but potentially in tandem with the iPhone 7 and 7 Plus. 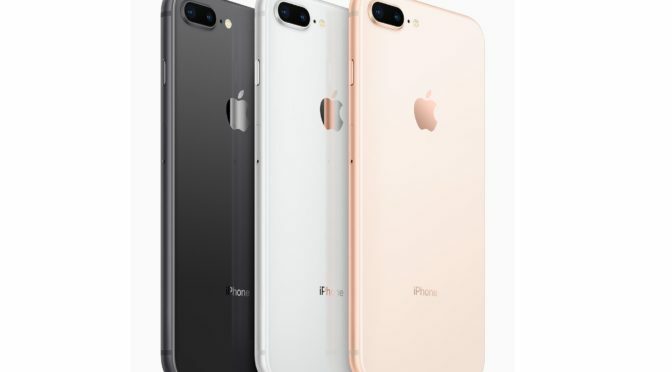 These units cover the middle price points below the X, and I think we can logically group the 6S, 6S Plus, and the SE together as the “value” options at the lower end of the scale. When you look at how thoroughly Apple has covered the price points from top to bottom this year, grouping sales for comparison is the only method that makes sense. So why does Apple have this many model available this year? No one outside the company knows for certain, but I have a feeling that this may be an experiment to help them target the right devices at the right price points going forward. Depending on how devices sell in the middle and lower ranges, we could see a shift from 5 to 3 or 4 more targeted models next year. The interesting thing going forward is whether Apple will keep making a new model equivalent to the iPhone 8 next year, or go back to just keeping last year’s model on offer below the top of the line. I think the sales of the X compared to the sales of the 8 and 7 will be the ultimate deciding factor there. I have heard and read several tech podcasters and writers complaining about Apple’s suddenly crowded iPhone lineup and comparing this to the “bad old days” of Apple before Steve Jobs’ return, when the company routinely had expansive and very confusing product lineups. However, I don’t see this as a valid comparison at all. First of all, this is a very neat and orderly lineup. Other than the fact that the SE and 6S have a headphone jack and the others don’t, there is very little confusion on how the devices stage up from top to bottom, both in terms of price and features. Also, when you consider that Apple has already mastered efficient production of the older models, there is absolutely no risk to them keeping them on the market. Every one they sell is going to return a high profit margin because of that increased efficiency, so why not take advantage of making 5 devices that can all run the latest OS without issues? The expected slow burn never really materialized for the iPhone 5C, but I have a feeling that it will in the case of the iPhone 8. All of the concern right now is focused on tech enthusiasts like myself, and on people who have been waiting on the iPhone X to upgrade because of all of the mainstream press coverage that has surrounded it for over a year. I think it’s silly to expect the iPhone 8 to have a great deal of success among this crowd. As I already mentioned, it wasn’t designed for them. Rather, the iPhone 8 was designed for users like my father and my mother-in-law. They both use their iPhones extensively, but neither is a tech enthusiast. When my Dad had to upgrade from his failing 5S last year, I naturally assumed he would choose the SE based on price and familiarity. However, after trying out the devices in-store, he decided on the more costly 6S Plus instead. He loves the bigger screen and the fact that he didn’t have to buy a battery case thanks to the Plus’ longer battery life made the price more reasonable in the end. In today’s lineup, that choice would have been made between the remaining 7 Plus and the 8 Plus. People like my father are who the iPhone 8 is aimed at. When everyday iPhone owners go into an Apple Store or a carrier store to upgrade, they typically are looking for something right then and there. It sounds like the X won’t be a regular on store shelves until well into next year, so these users are going to be choosing between the rest of the lineup. I think there are a lot of users who are going to pick the 8 and 8 Plus out of that lineup as the “next best available,” and call it a day. This is where the slow burn should come from. There has been plenty of coverage on the reasons why the iPhone 8 and 8 Plus cost more than their predecessors. There are some more expensive components and new features included, such as the new front and back glass design and wireless charging. These do increase the price somewhat. However, I also know full well from my job and industry that the prices of some consumables like copper have been going up lately, and this has a tendency to drive up component and electronics prices across the board. I know for a fact that the price of flash memory has increased recently. Apple is more concerned with profit margins than overall volume, as long as volume doesn’t drop precipitously. They know the formula well, and their status as one of the most profitable companies in the history of capitalism attests to that. If the prices of what they put in a device go up, the price of the device goes up in kind. This shouldn’t surprise any Apple fan or user. Despite the rising component prices across the industry, the overall price that Apple has to pay to make the iPhone 8 isn’t that high in comparison to the X. While the 8 has several new features, it also still shares the same basic design and several components with its older siblings. This keeps the overall price to run production cheaper and more efficient than the X will be, meaning that the 8 doesn’t pose a major risk to Apple if it doesn’t sell as well as they hoped. The only caveat is that the expectation if iPhone 8 sales are slow will be that the X is an even bigger hit than Apple originally projected. If this isn’t the case, AND the iPhone 7 also doesn’t sell well, then Apple would have reason for concern. However, when you look at the recent statistics on Apple brand loyalty, this scenario is unlikely. For Apple to consider the iPhone 8 and 8 Plus true successes, I think they need to outsell the 7 and 7 Plus in the middle of the lineup. If this happens, I think Apple will continue to produce a similar phone every year with the latest and greatest processor. This could mean that Apple will keep on selling 4 or 5 models in a wide price range for the foreseeable future. If the 7 and 7 Plus end up coming out significantly ahead in sales (which I don’t personally expect), then I think the iPhone 8 will be available again next year and won’t be replaced with a model above it. This would signal Apple going back to the previous model of just lowering the price of last year’s phone, or at least one with the previous year’s specs. Ultimately, the iPhone 8 and 8 Plus are not as critical to the success of this year’s iPhone sales as the iPhone X is. The 8 has plenty of help in the middle of the pack to help keep profits rolling in, especially while the iPhone X is still in short supply. The fact is, Apple is pivoting their sales model for the iPhone and what we are seeing this year is different than any of the previous ten years. Apple will likely continue to tweak and change things as the year goes along into next year based on what they see with sales this year. However, until we know something solid, which won’t be until the next quarterly sales call, it is pointless to make any sweeping pronouncements about the success or failure of the iPhone 8, or any other iPhone for sale this year. We really need to wait until the first quarterly call next year to know for sure. What do you think of the iPhone 8 and 8 Plus? Anyone out there have one? If so, what has your experience been like, so far? Is anyone currently considering it or a 7 or 7 Plus over the X? Let me know in the Comments section below, on Flipboard, on our Facebook page, or on Twitter @iPadInsightBlog.